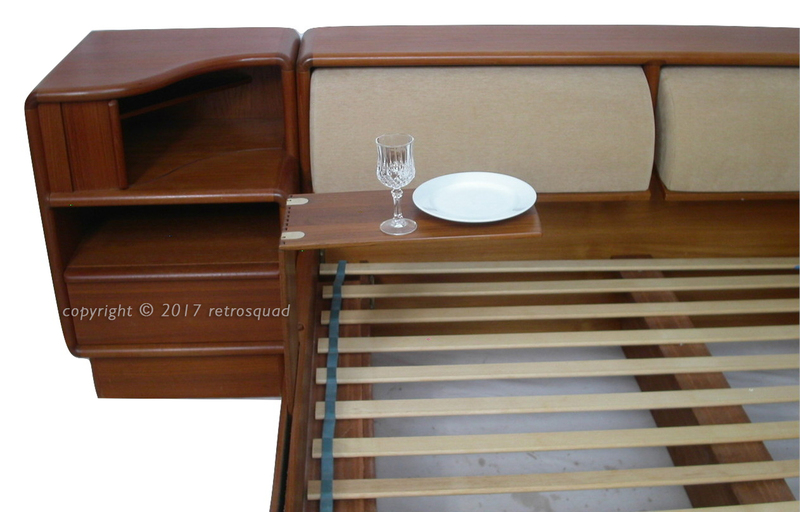 I was almost speechless when I first discovered a Kibaek bed many years ago as they offer an unprecedented level of quality and unique features. Kibaek beds employ the heaviest construction methods I have ever seen (I can send you additional photos for review). 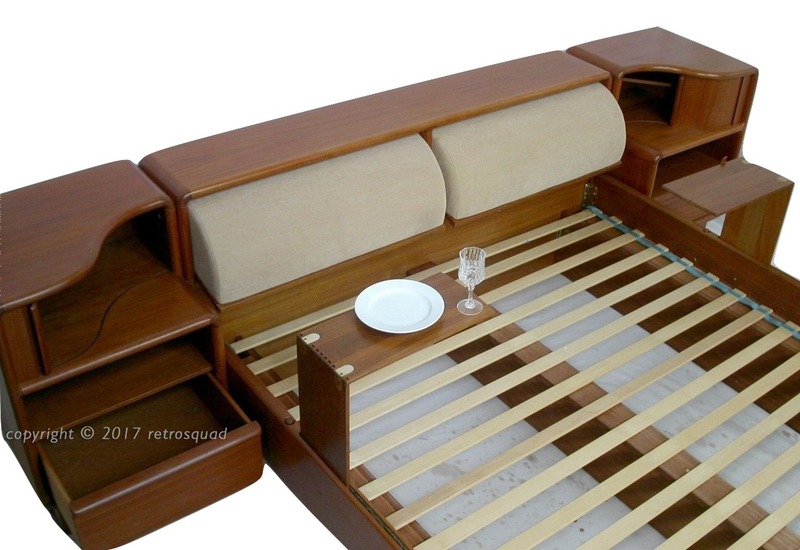 The bed is actually “over built” and I would expect it to last SEVERAL lifetimes. 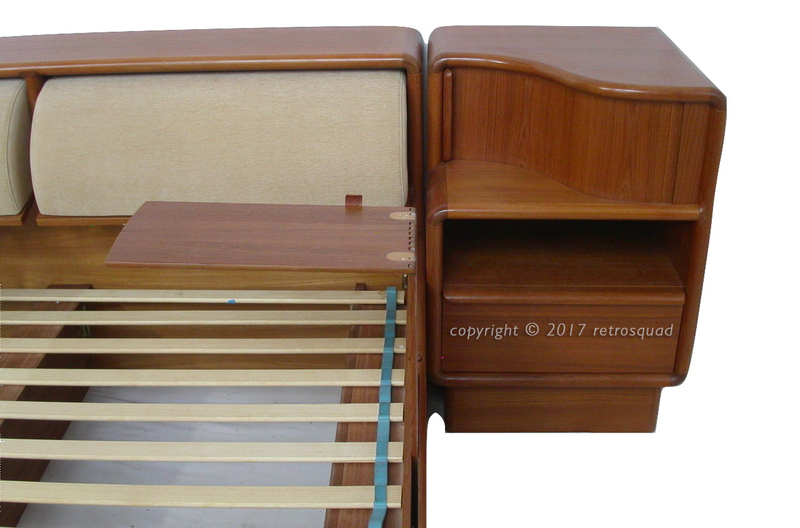 It employs thick heavy boards and the lower platform sections and upper frame sections are permanently connected making for a heavy rock solid bed. That said, the bed can be fully disassembled for shipping. highest quality with no competition from any other manufacturer. My understanding is that the expense of manufacturing such high-end furnishings became so costly that they simply priced themselves out of the marketplace and went out of business. Kibaek pieces were very expensive when new and they retain a lot of their value today. I have also sold MANY Dyrlund and Torring pieces over the years and can confidently state that Kibaek is SUPERIOR to either of the other two companies in every aspect. 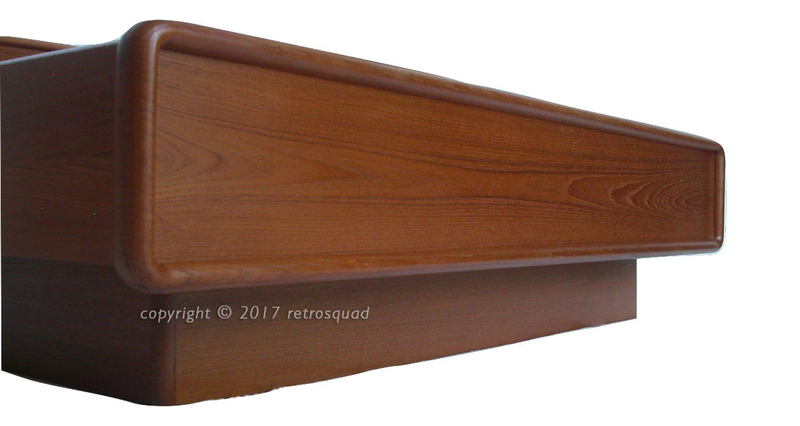 This vintage TEAK bed is an amazing stand out piece that will bring you many complements. 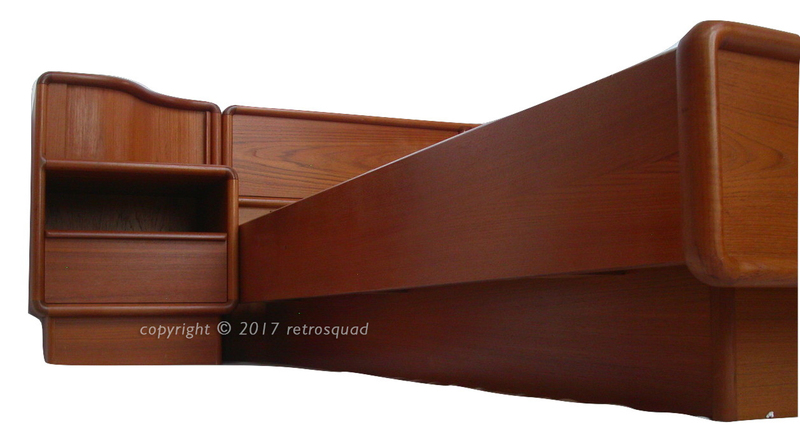 + Headboard is finished on the back so that the bed does not need to be placed against a wall. 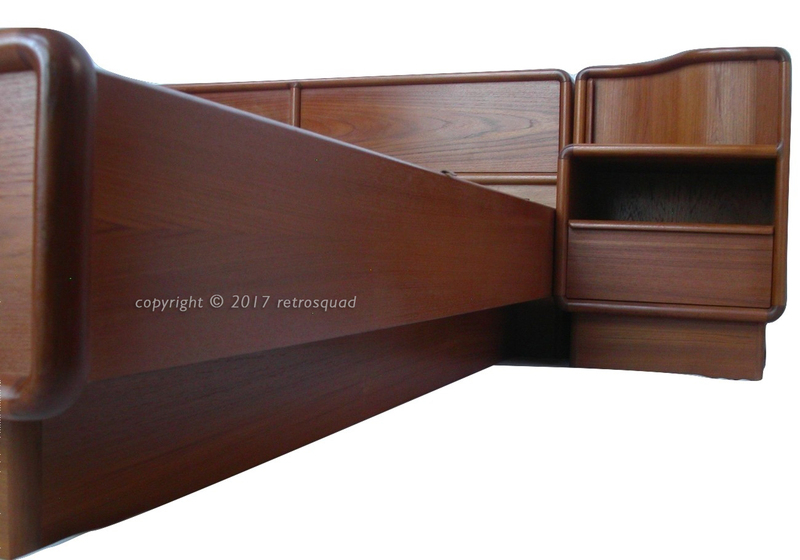 You will not be able to find another bed with the features and quality of a Kibaek bed because no other company has ever made something like this. 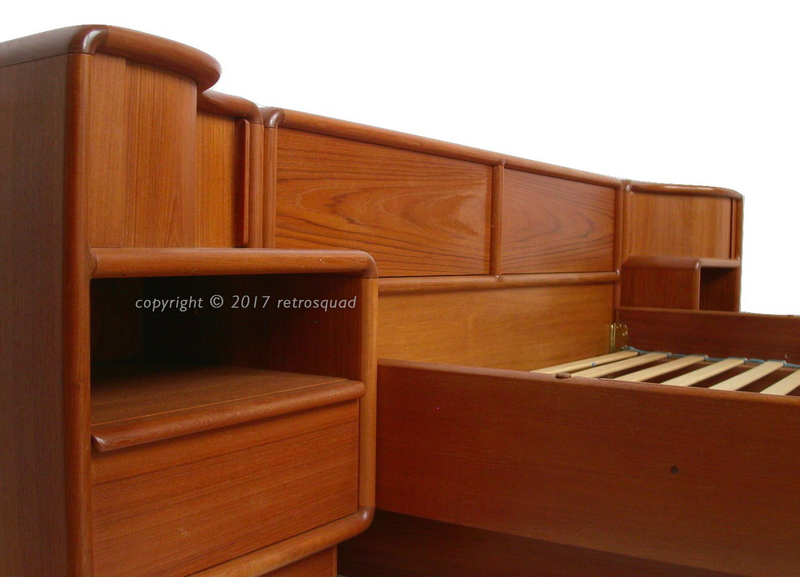 This bed is not simply a step or two above the next best bed (Dyrlund or Torring) that I have ever sold, it is at the top of the staircase. 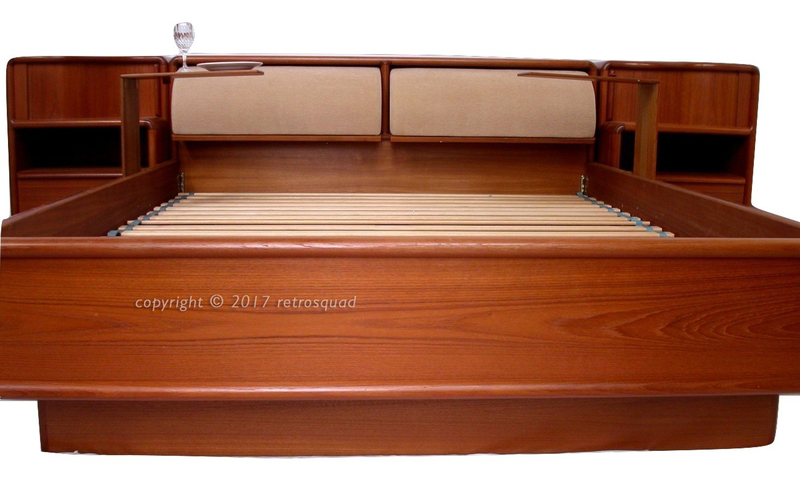 Over the years I have sold nearly every model and make of vintage Danish bed you can find on eBay. 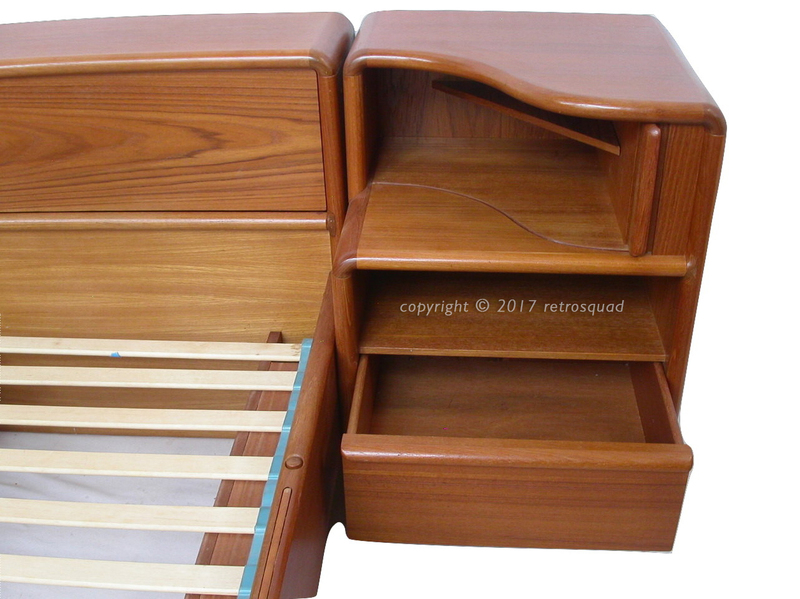 Over the years I have been happy to sell hundreds of very nice, well made beds from Denmark, but none exhibit the quality or features of a Kibaek bed. 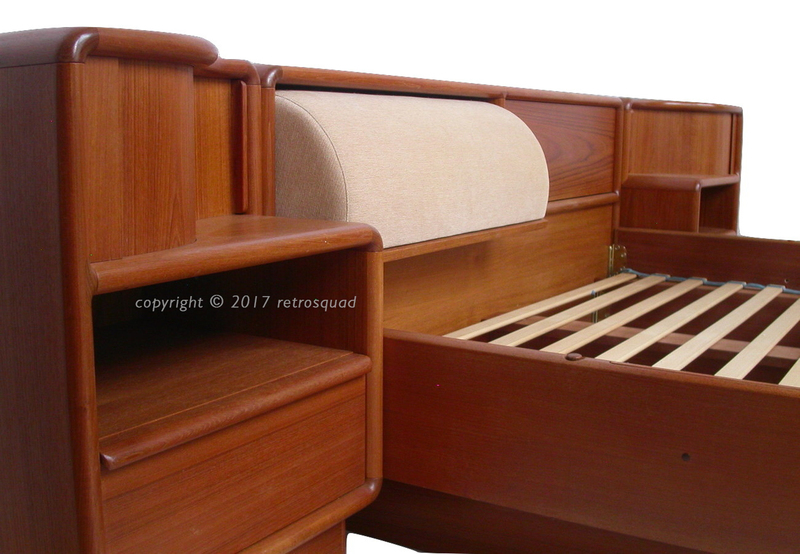 If the best Danish beds could be considered Cadillacs, Kibaek is most certainly a Rolls Royce! 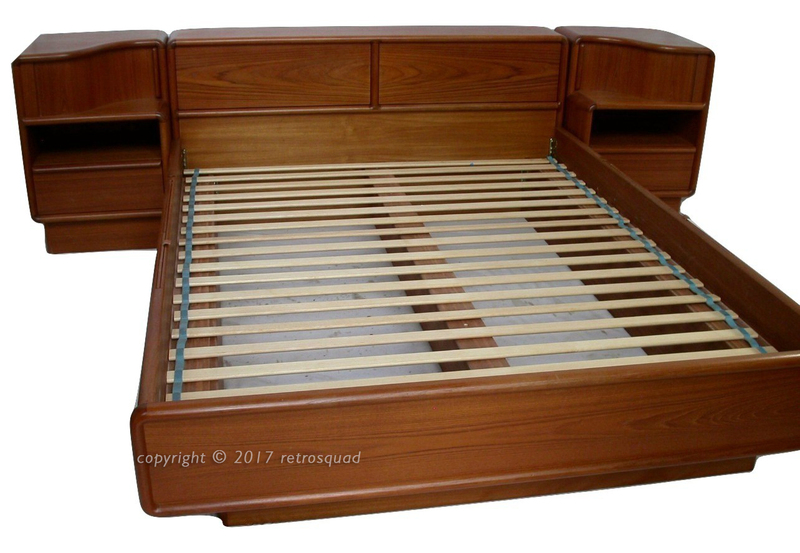 This entry was posted in Bed, Furniture, Kibaek and tagged Danish Modern, Kibaek, Queen Size Bed, Teak by RetroSquad. Bookmark the permalink.